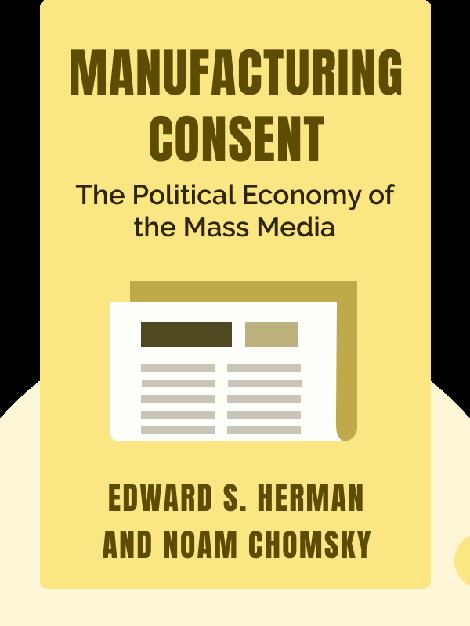 Manufacturing Consent (1988) takes a critical view of the mass media to ask why only a narrow range of opinions are favored whilst others are suppressed or ignored. It formulates a propaganda model which shows how alternative and independent information is filtered out by various financial and political factors allowing the news agenda to be dominated by those working on behalf of the wealthy and powerful. Far from being a free press, the media in fact maintain our unequal and unfair society. 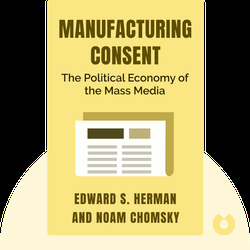 Edward S. Herman is an academic specialising in finance who has written many works on political economy and the media. Noam Chomsky is a world-renowned expert in the fields of linguistics and global political culture. He is best known for his criticisms of globalisation, American power and the mass media. He has authored numerous publications including Hegemony or Survival and Deterring Democracy.